The idealism of the United States is equality in society, coupled with an inherent right to—and respect of—freedom. The founders agreed in an intrinsic freedom of expression in speech and the freedom to worship – or not. An agreement on the fundamentals of religious faith was impossible to meet and has been a disagreement, many times violent, throughout human history. It is the rationale for separation of church and state, an idea essential to the founding of America. “The separation of Church and State declared in the First Amendment of the Constitution was vital to the evolution of a pluralist society, which yet agreed at least on the elements of a public philosophy or civic religion” (Ninian Smart, The Religious Experience). It is in religious belief that the respect inherent in American society gets its most stringent examination. The attacks on the World Trade Center in 2001, which many feel was a result of heightened discord between religious and social philosophies in the civilized world, cast a shadow of fear throughout America. In reaction to fear of terrorist attacks, many Americans turned to the comfort of faith in their God. 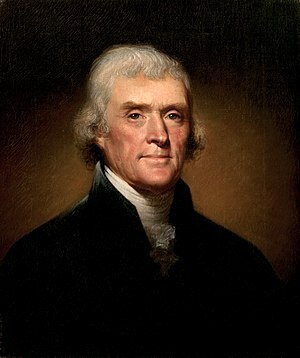 However, not all Americans are believers, as understood by such men as Thomas Jefferson. It would serve all Americans to understand the need for unity and rational thought, to make sure social policy protects us all.